The traditional letter box in the Dorset village of Holwell in 1853 recently got restored back to its former glory. The red post box still bears the initials of the late Queen Victoria who was occupying the throne at the time of installation. The post box has been in use for 161 years, that means this post box was that well-built it has seen two world wars and five different monarchs rule Britain. 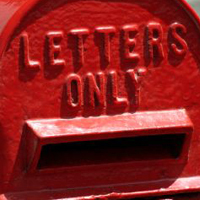 The very first post boxes erected in the UK are not recorded. The design of each post box were different from area to area, this is because the district surveyor would issue their own specifications for the post box. The shape of the traditional post box has changed over the years from an octagon based shape to the round appearance that we are accustomed. The first post box design for London was rather stubby and rectangular, erected in 1855 they were replaced as people complained that they were ugly. Before the introduction of the pillar boxes in the UK it was customary to take outgoing mail to the nearest letter receiving house or post office, this then given to the postman and delivered to the individual post boxes for houses. The advent of the British wayside letter box can be traced to Sir Rowland Hill secretary of the post office. If you are looking for a traditional postbox then the Post Box Shop has a wide range of options that you will enjoy. 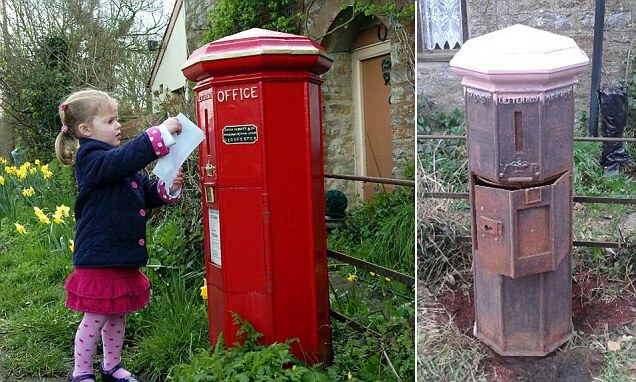 The country's oldest postbox has survived two world wars and seen five monarchs ascend the throne. Today the red box has been given a new lease of life after locals in Holwell, Dorset mounted a campaign to give it a makeover.